MLS# 190001797 - 8788 Ellingham St, San Diego, CA 92129 - Abacus Properties Inc. Courtesy of Fathom Realty Group, Inc, Lana Moncada. Ultimate SoCal lifestyle awaits! Light and bright double story foyer and adjacent formal Living Room with vaulted ceilings greet you as you walk in the door. Spacious Family Room with a cozy gas fireplace opens to the Kitchen and the Entertainer’s Backyard. Chef’s Kitchen is complete with prep island, granite counters, cherry cabinets and s/s appliances. Bedroom and Full Bath are conveniently located on the main level. Low maintenance landscaping, patio and gorgeous Pool&Spa add to the list of features! Please, send me more information on this property: MLS# 190001797 – $939,900 – 8788 Ellingham St, San Diego, CA 92129. 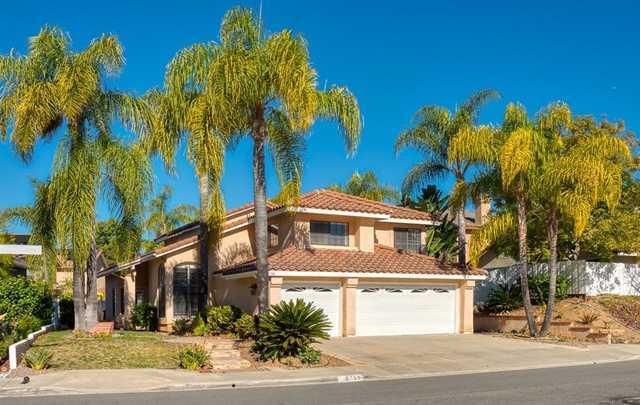 I would like to schedule a private showing for this property: MLS# 190001797 – $939,900 – 8788 Ellingham St, San Diego, CA 92129.